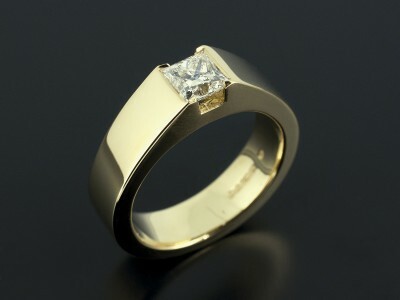 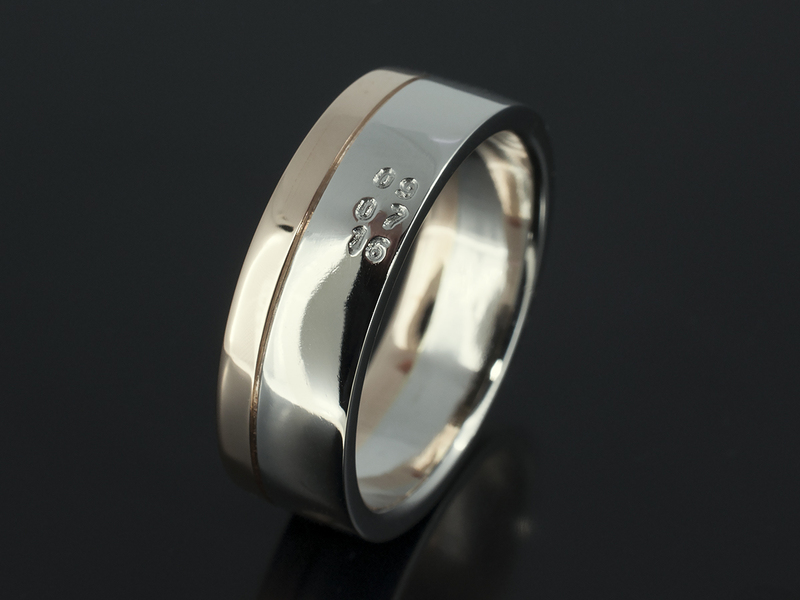 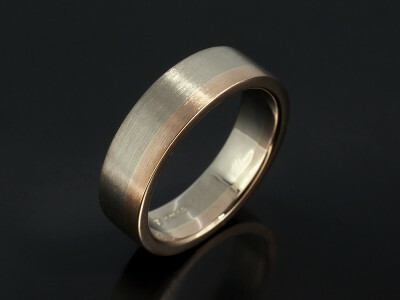 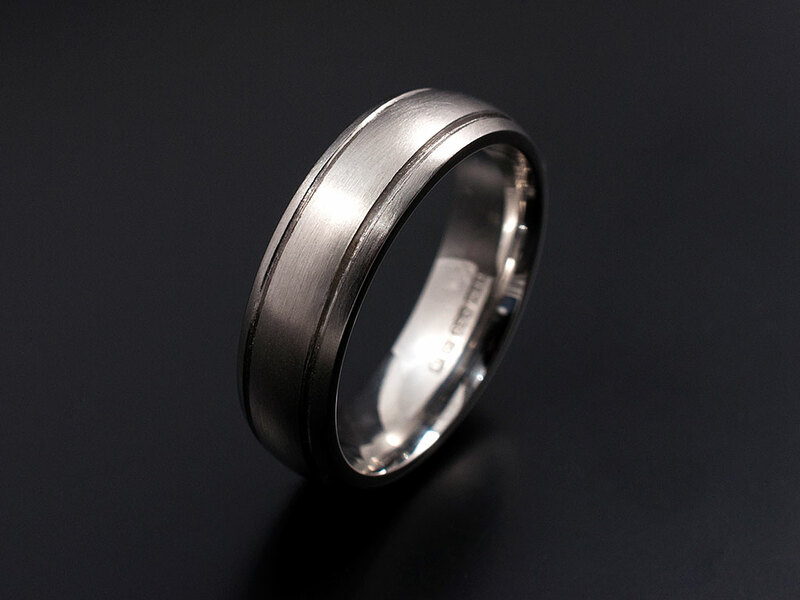 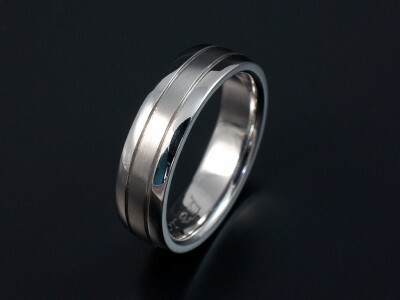 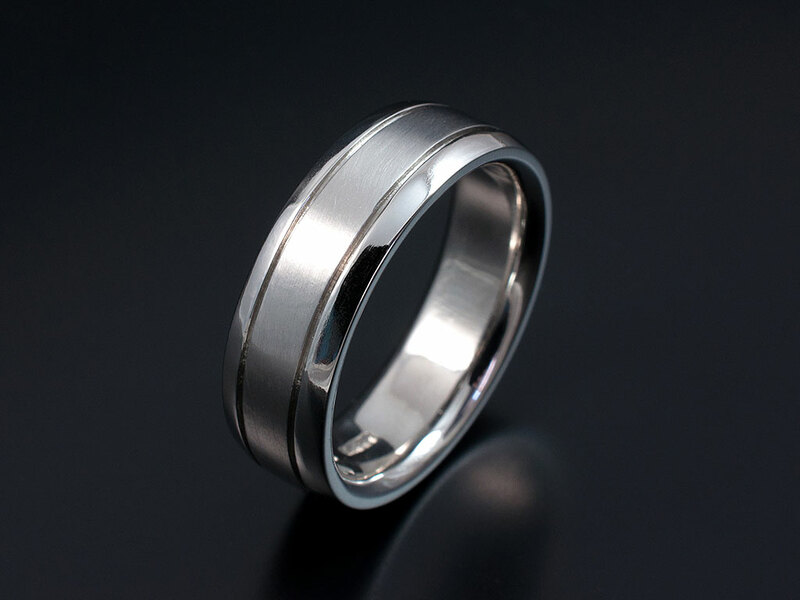 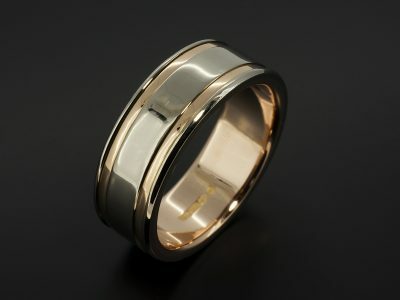 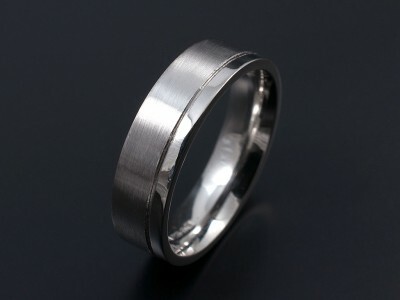 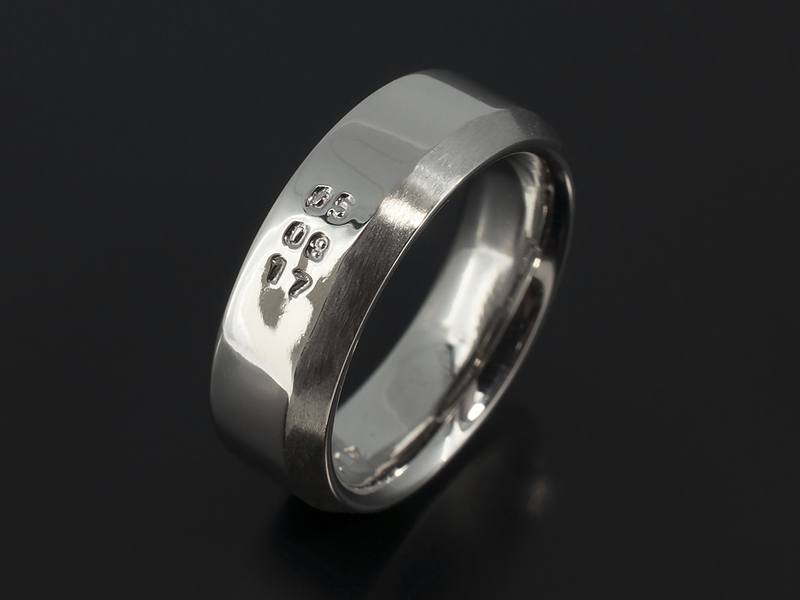 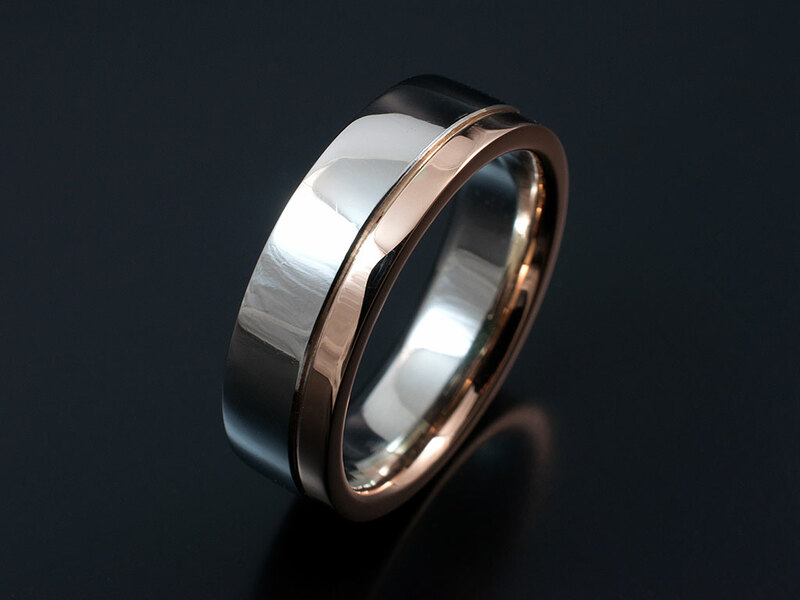 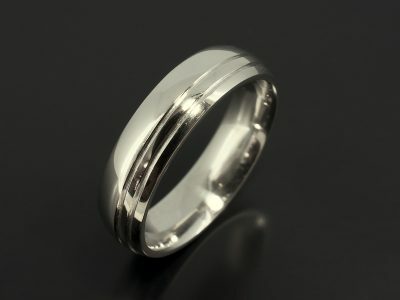 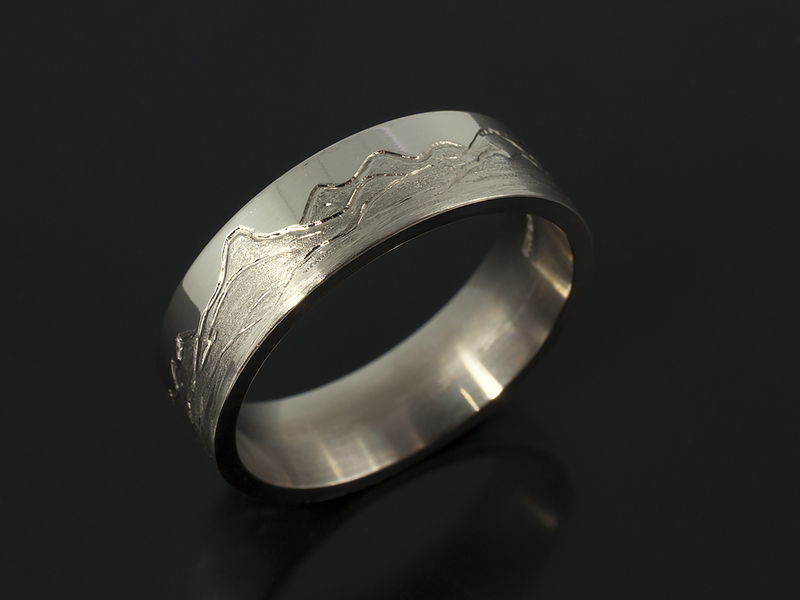 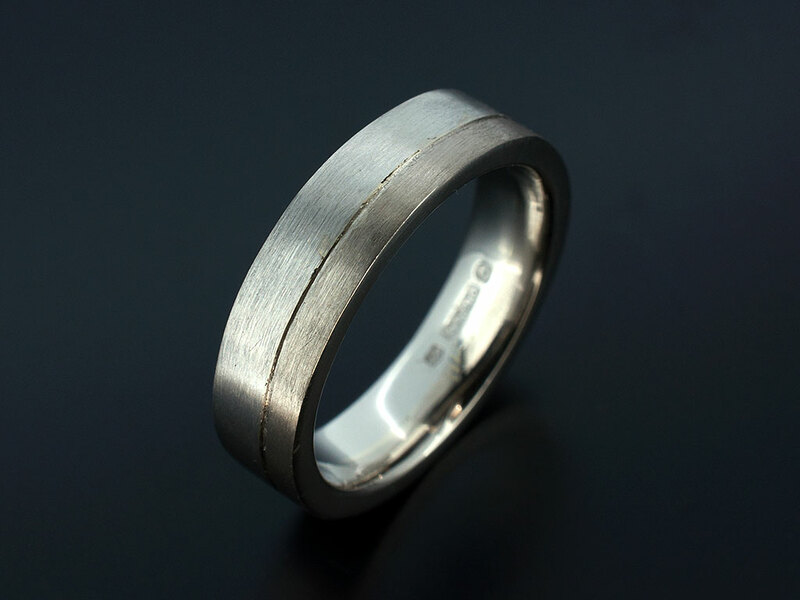 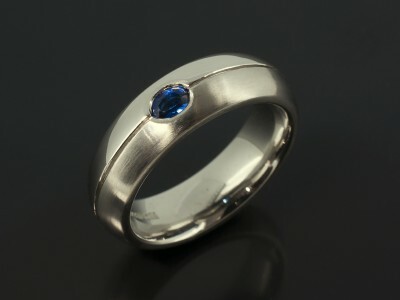 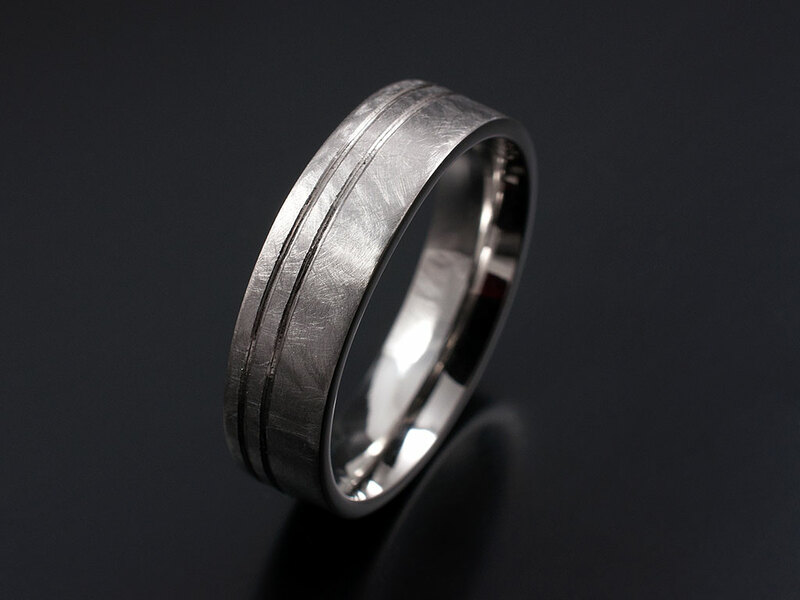 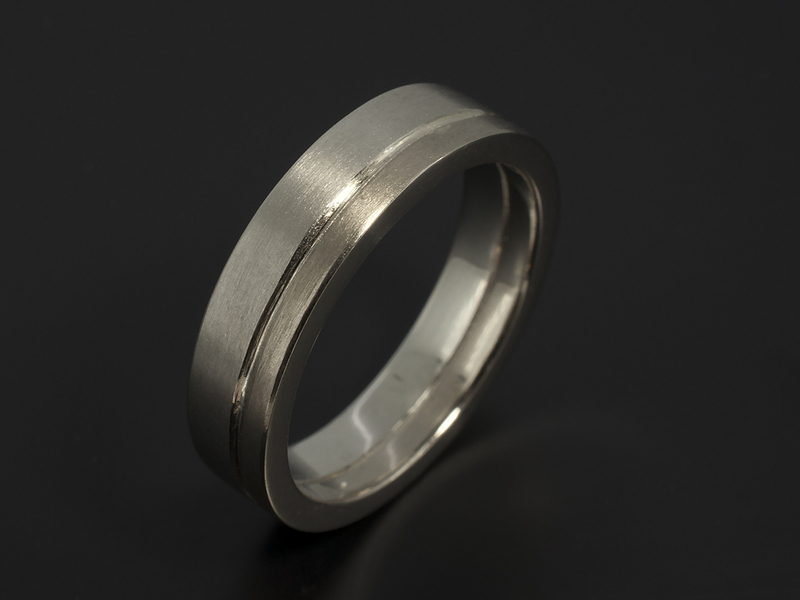 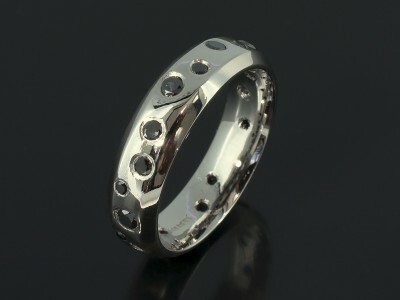 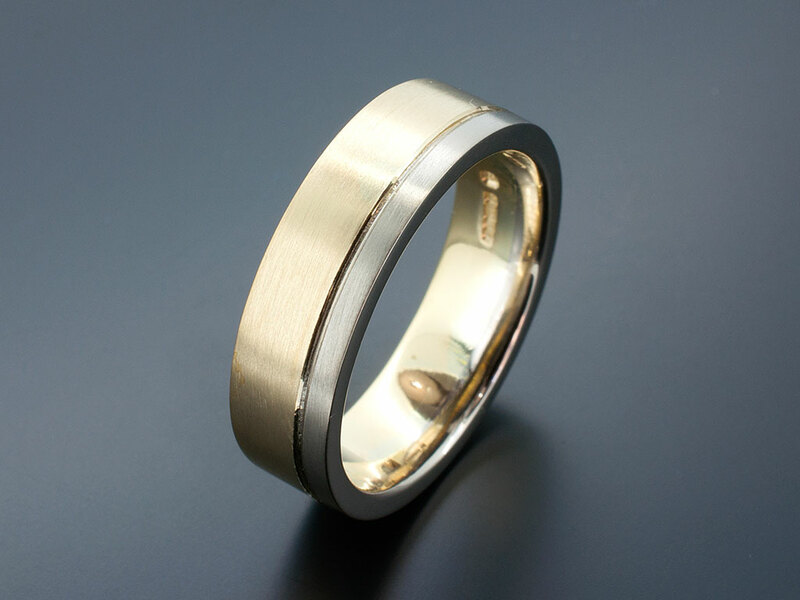 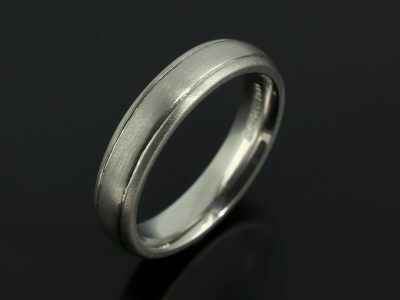 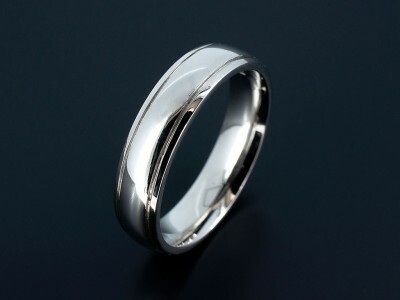 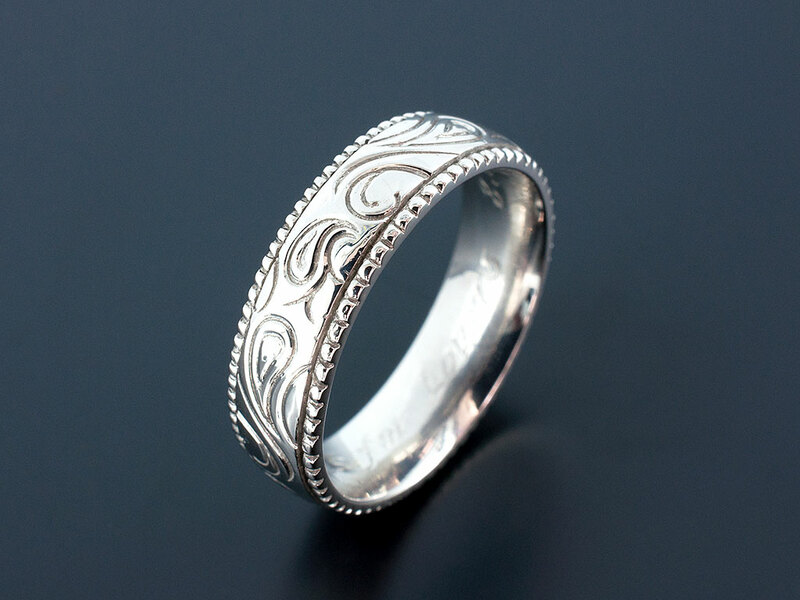 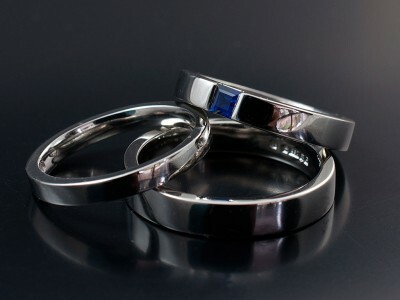 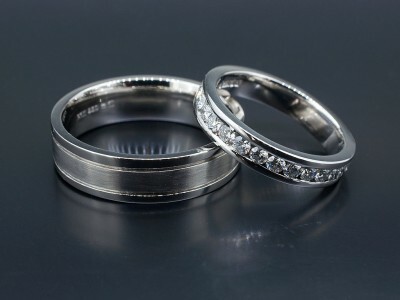 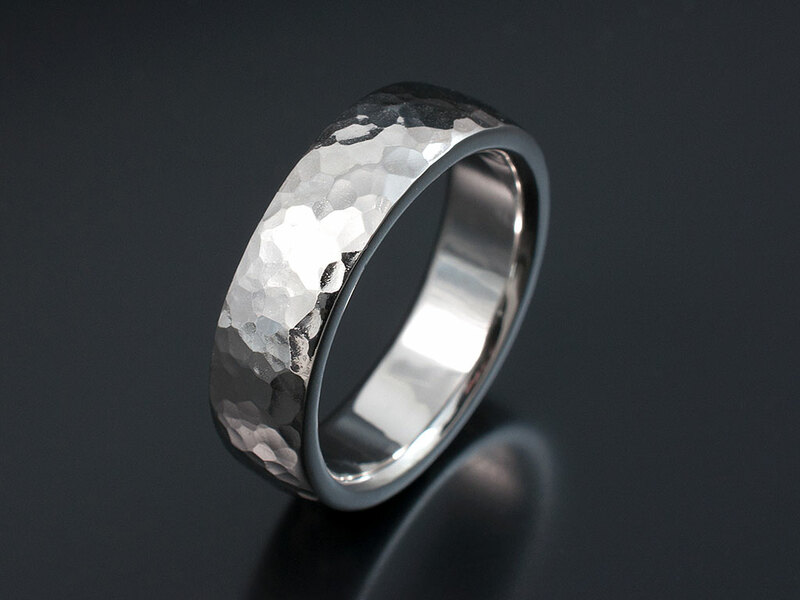 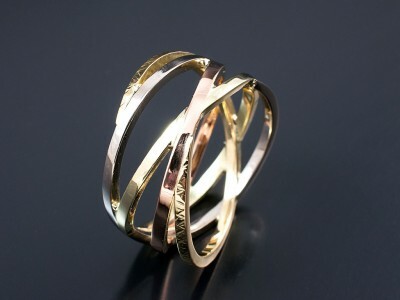 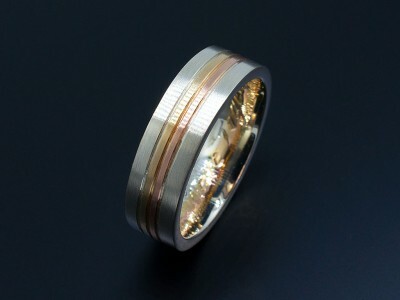 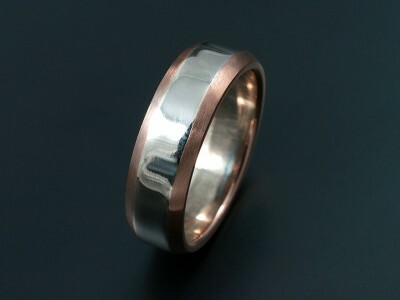 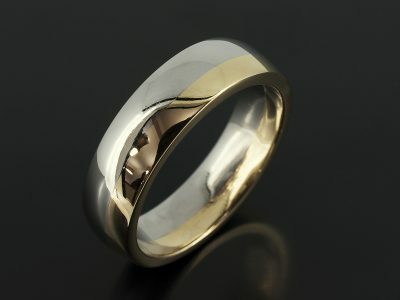 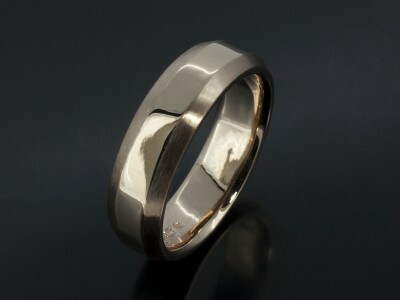 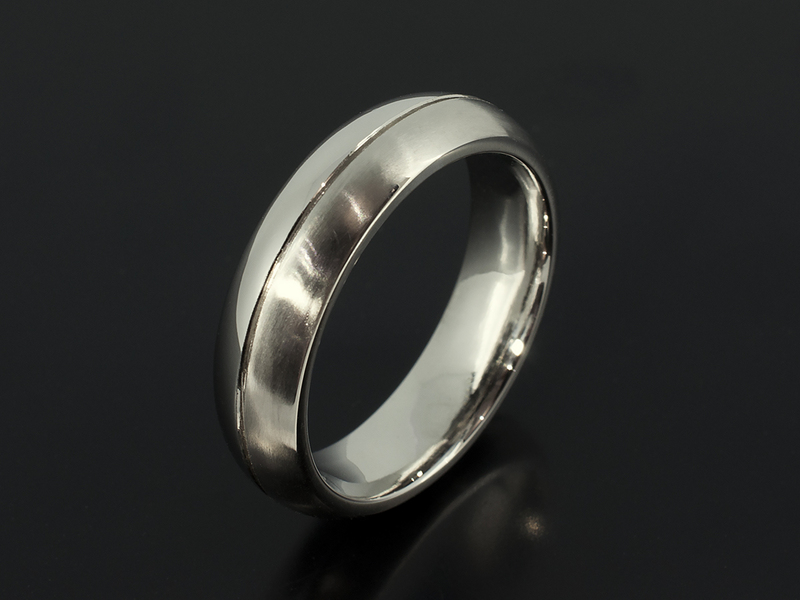 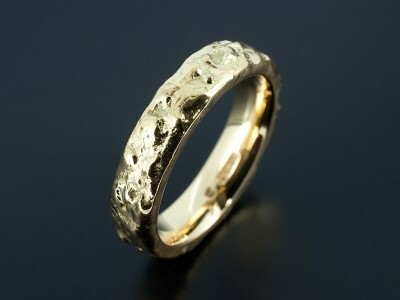 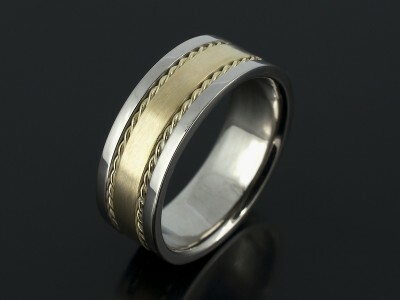 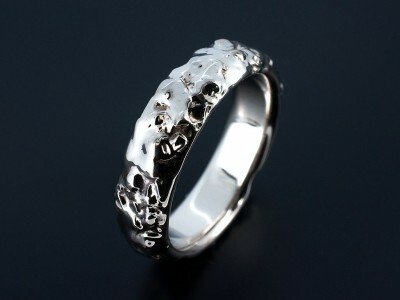 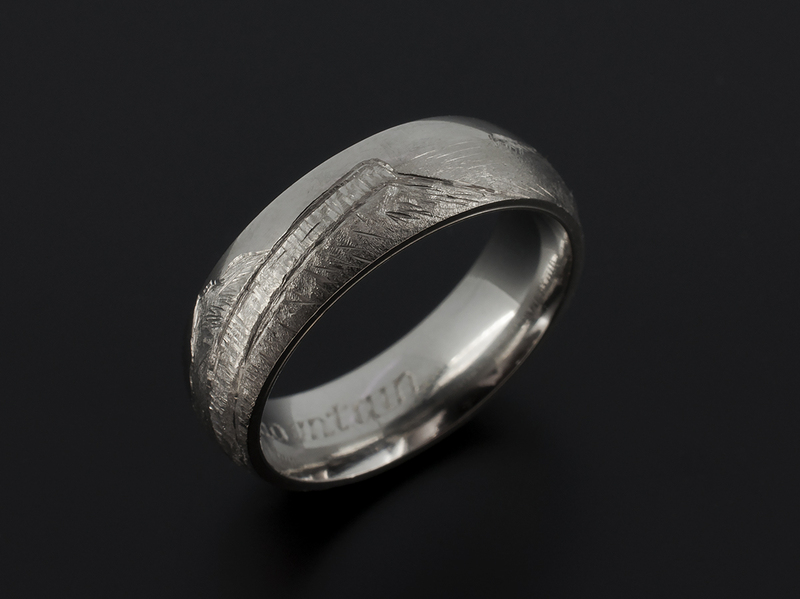 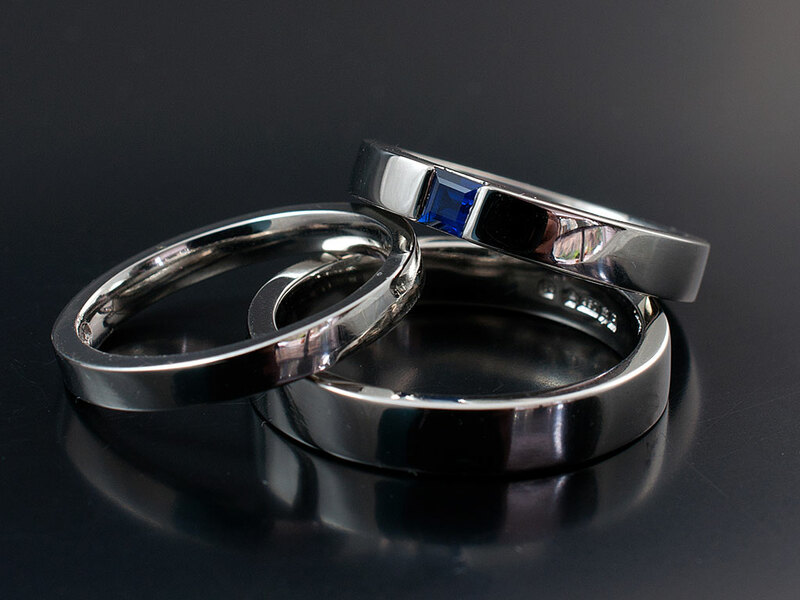 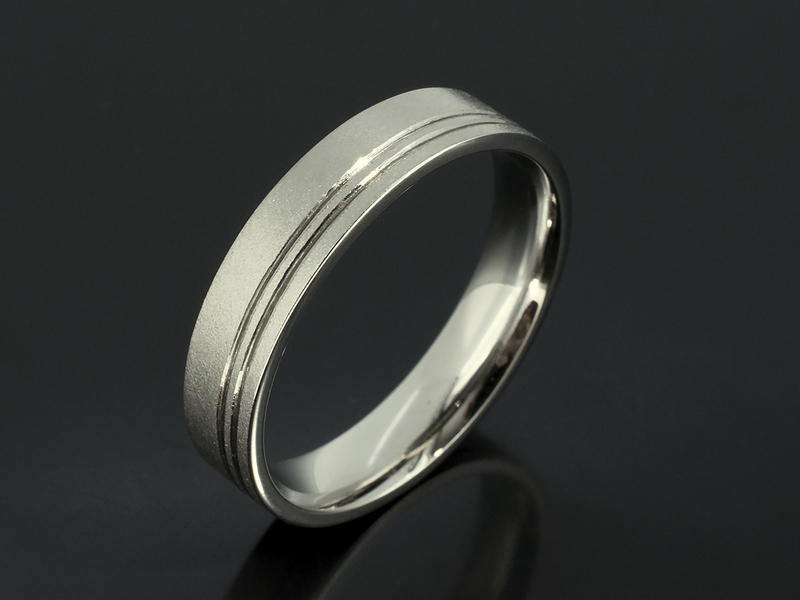 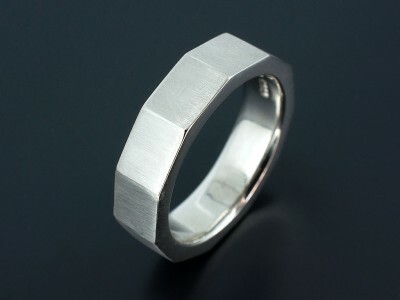 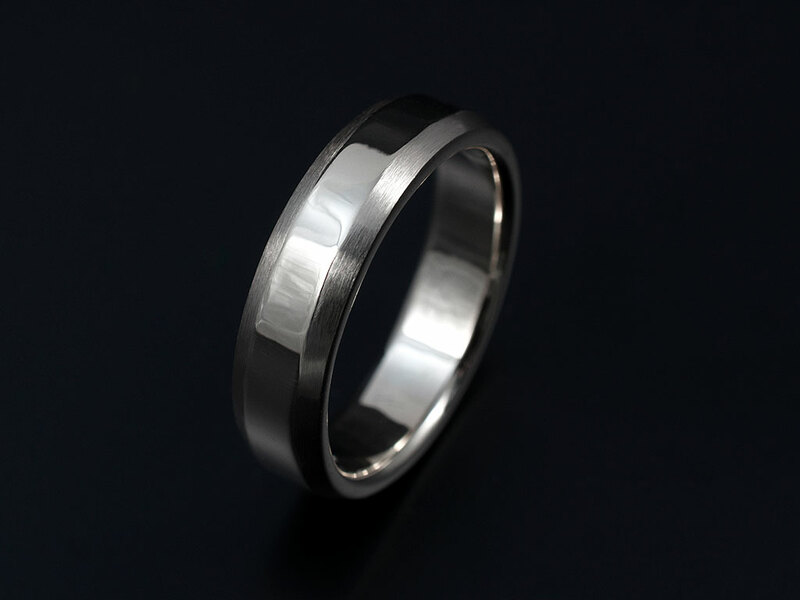 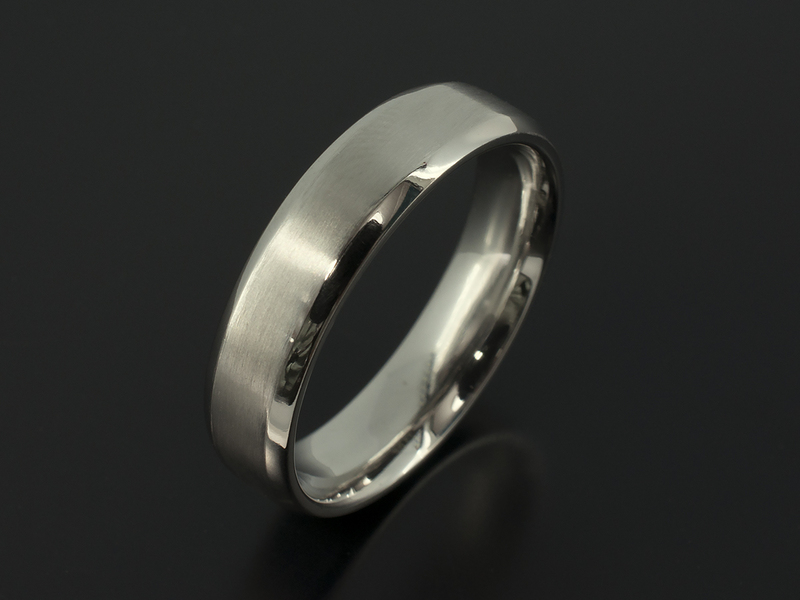 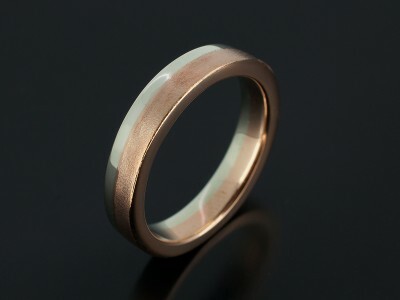 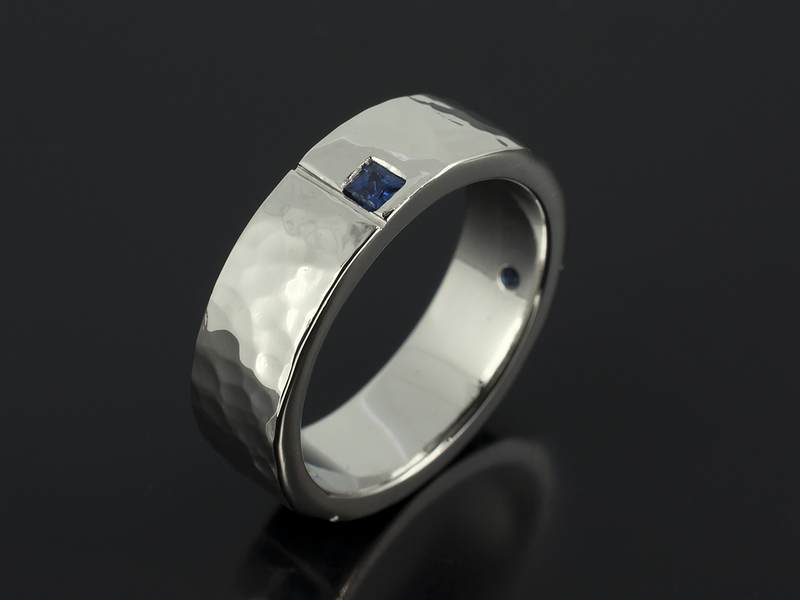 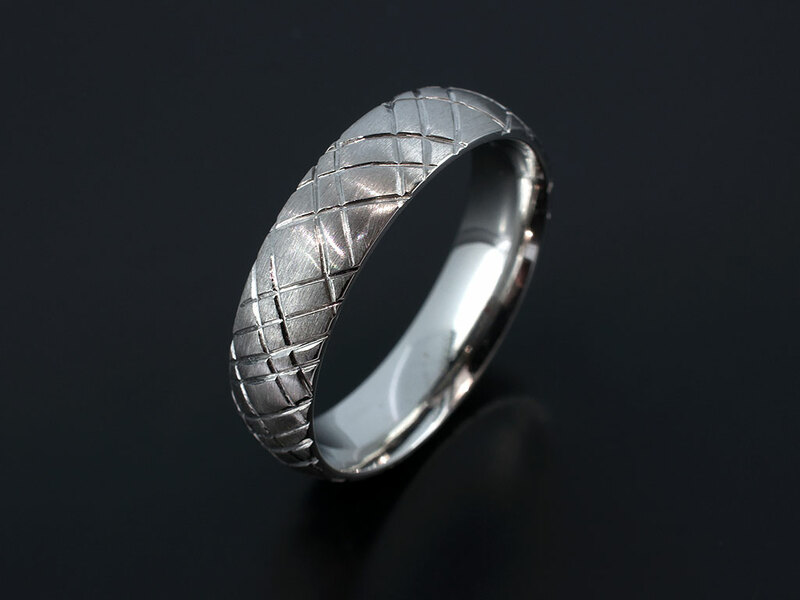 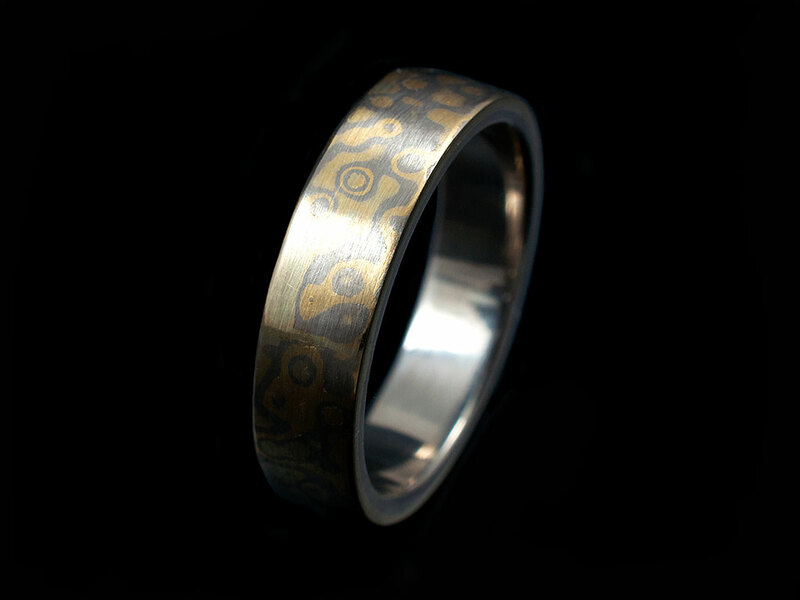 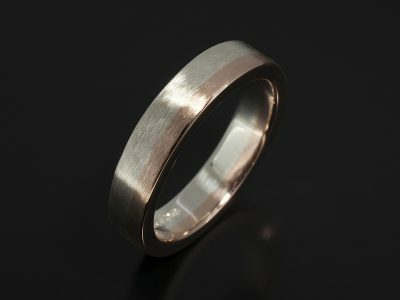 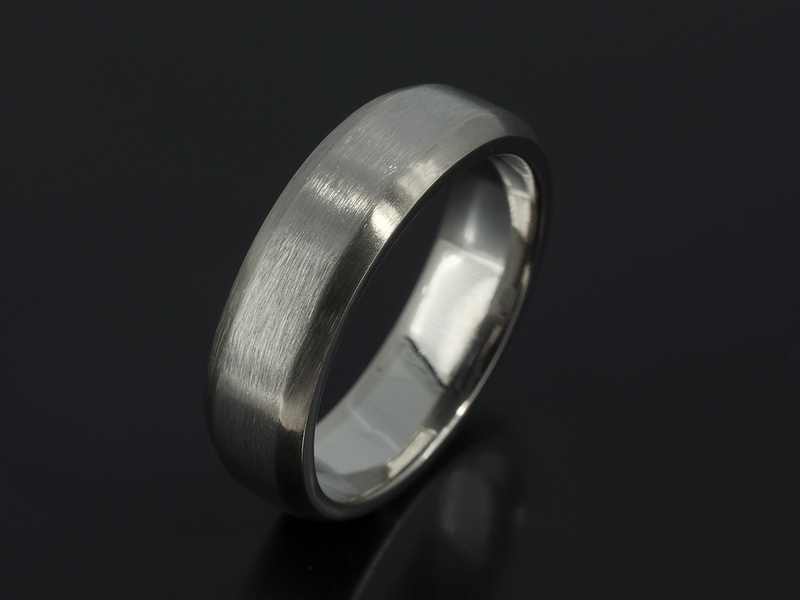 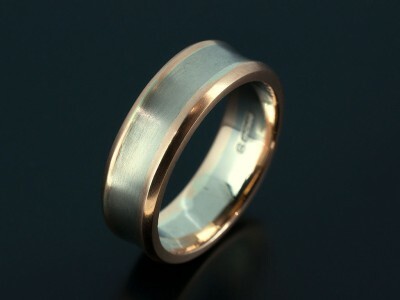 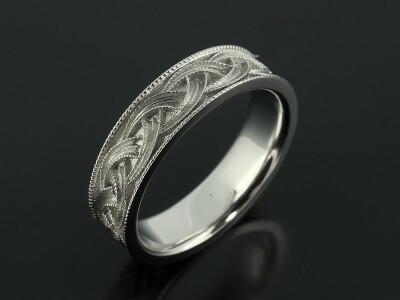 Have your own Gents’ wedding ring individually made for you. 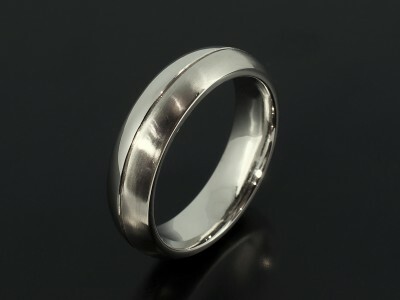 Often during a wedding ring consultation, men say that they ‘just wat a plain band’. We do provide lovely well finished simple bands but there is also the option to adopt a more designed approach. We can create designs involving different colours of precious metals, hammered or brushed textures and different band shapes. 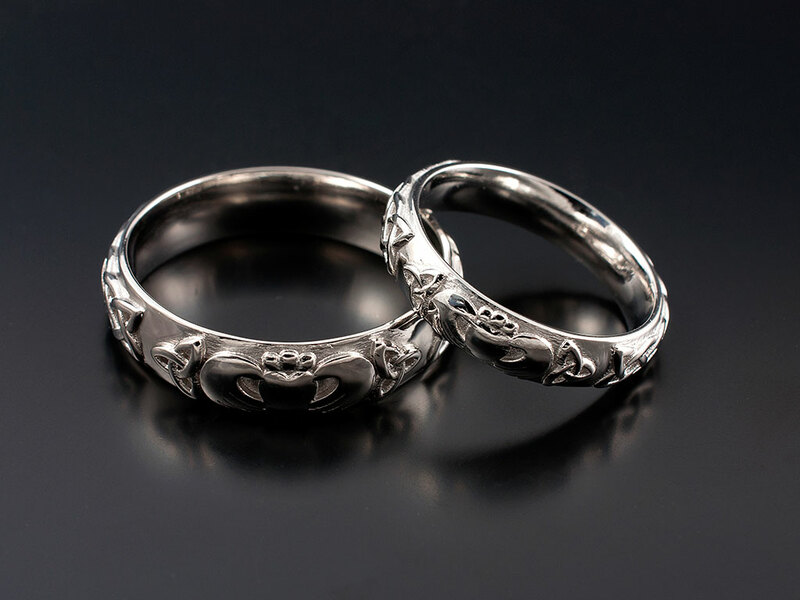 Furthermore, we can also create rings with a specific surface design incorporating mountain ranges, celtic and pictish patterns and personal messages. Have a look at our designs we’ve made in the past and we welcome new ideas that could be for you in your bespoke wedding ring.